The 103 is the second largest in the all-new Kode FreeWave line-up and is available in three different constructions, this, the Carbon version, coming complete with both single and thruster fin options. A successful series for Starboard in the past, the Kode FreeWave gained a reputation for being super fast and incredibly tuneable. Taking a closer look at the 103’s new design, Starboard never shy away from challenging convention and this KodeFreewave is no exception. It has quite a stepped outline, angled sharply at the nose and tail, yet with parallel rails in the mid-section. The nose of the board is also super flat with little visible rocker or kick, whereas the tail houses plenty of volume in its domed deck, finishing in a pintail. “The secret to the speed and control is in the lower nose angle that drastically reduces drag. With the new tri-fin set up they never lose control; they grip like crazy in the turns and they keep the top end speed they’re really famous for. The contour pads and the fourth generation Drake deluxe straps make them ergonomically perfect. With the inboard and outboard strap positions you can tune them for more manoeuvrability or for more speed. The new Kode formula is about more wave performance, more turning grip and quicker reactivity while keeping their speed and directional traction.” Tiesda You. More than any other board in this group, the feel and character of the Kode FreeWave can be altered dramatically by changing the fin set-up. 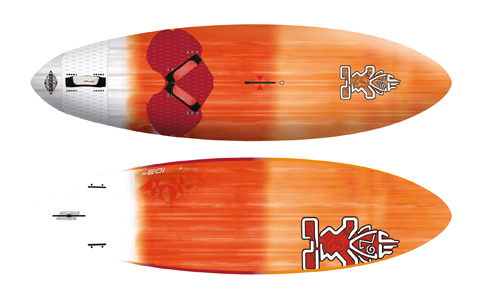 Using the 30cm single fin initially, the 103 feels broad and dependable underfoot, carrying weight and tracking well. Turned off the wind to encourage early planing (we found moving the deckplate an inch or so further forward in the track also helped), it accelerates smoothly to an impressive top speed. It really does feel gunny once lit up, trimming beautifully as the nose sits low and skims over the surface of the water, whilst the dome of the deck in the tail encourages a powerful locked in stance. 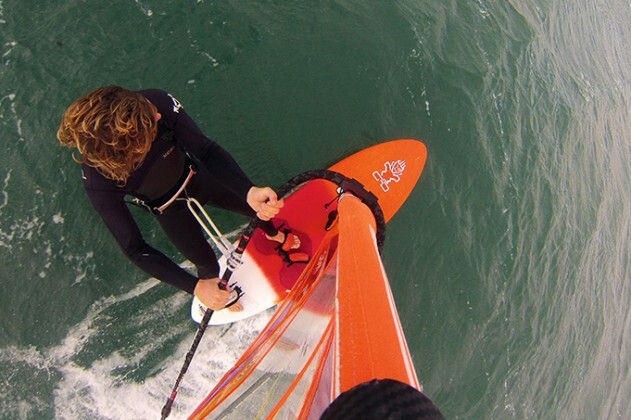 Driving efficiently off the fin, it is certainly rapid, particularly off the wind; you’d be forgiven for thinking you’re on a more straight-line dedicated board, such is its directional confidence. Enter a gybe with speed though and you gain a glimpse of the board’s alter ego. It simply yearns to be put on its rail, seeming to bite and engage instinctively before you really commit properly to the turn. Suitably inspired, we changed to the thruster fins and were surprised at just how instant the change in stance was. With the deckplate back in the recommended place, the Kode FreeWave encourages a more upright stance over the board, feeling compact and easy underfoot. It has a very planted nature and the dome in the tail helps support rail-to-rail transitions, whilst the assured dependable response inspires you to push harder and harder. It seems you can be as aggressive as you dare with the Kode and it will simply lap it up. 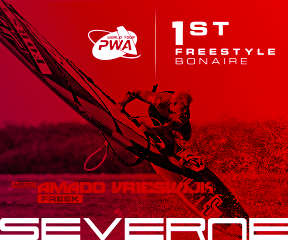 The Kode FreeWave challenges convention and in doing so redefines adaptability. With small changes to its set up, its character and stance can be completely altered to suit differing conditions and riding styles. The more we use the Kode, the harder it is going to be to give it back!